Home Off Beat	Peeping skull tattoo: Creepy yet funny! Yet another skull tattoo but a somewhat creepy one. 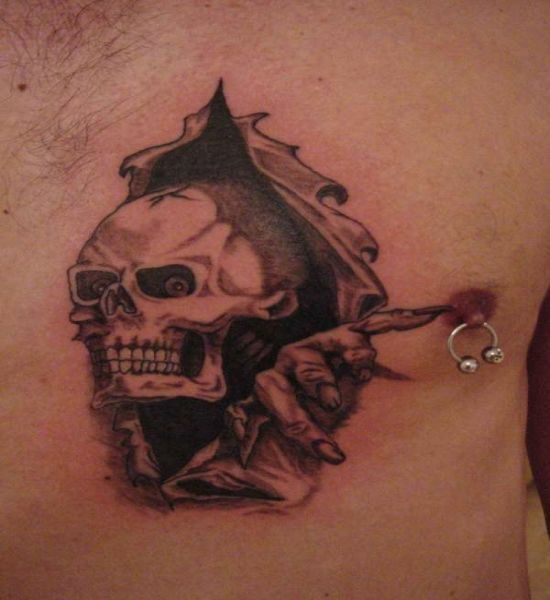 What makes it less fear provoking is the mocking way the skull looks like peeping out of its shell to know whatâs going around in the outside world and the best thing is the place where this is tattooed. I donât think, it means the guy is not pure at heart, right? On a personal note, I found this tat creepy yet funny! ← Tare Lugnt’s third issue…tattoo!